Introduction to French Grammar : What Type of Word is This ? 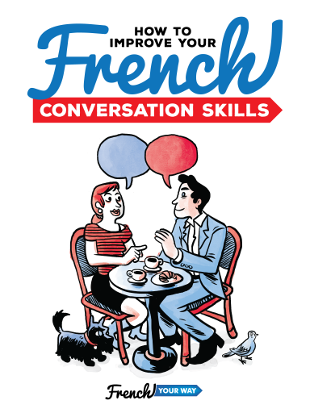 How to Learn French Grammar Easily ? 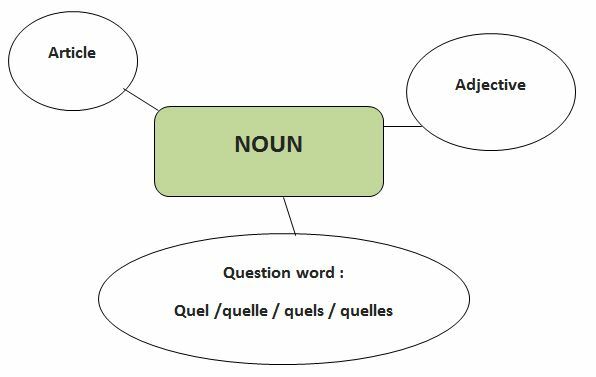 The following has helped many of my students to get their first grip on French grammar and gain much confidence by understanding the relation between the different words and their order in a sentence. That’s why I would like you to be able to benefit from it too. In this article, you will see how basic grammar notions in French are important in learning to write French essays or to speak French with consistently good results. If you’d like to read more about the power of grammar (or need more convincing! ), I wrote an article about it here. 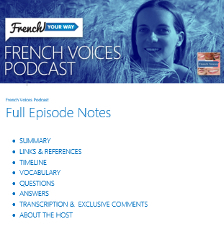 By comparing French and English and using examples in both languages, my intention is to make these basic French grammar notions accessible by students of all levels, as an introduction or as a brush up. This article does not explore each French grammar notion in depth (this would require dedicated lessons and articles). Get the free downloadable PDF of “Introduction to French Grammar: What Type of Word is This?”: it includes practice exercises and answers so that you can go the extra mile. 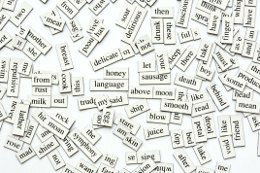 Nouns are words in front of which you can put “a”/”the”. Nouns in French are either masculine or feminine. It’s their gender. Nouns can be singular or plural. It’s their number. There also are proper nouns. They always start with a capital letter and are names of specific people, places, etc. They often don’t have an article. Articles are the small words you can find before a noun. ⇒ Since adjectives and adverbs are used to describe, adjectives are generally placed after the noun in French and adverbs after the verbs (with exceptions of course. Otherwise learning French wouldn’t be fun!). You can conjugate verbs (in the present, past or future tenses). Ex: Imagine that I am studying English. I read the following sentence: “He went to his office and finished his work”. Imagine that I don’t understand the words “went”, “office” and “finished”. I look them up in my dictionary. What is going to happen? I will be able to find the word “office”, but I will find no entry for “went” or “finished”. I would have to know that they are forms of “(to) go” and “(to) finish”. “Go” and “finish” are infinitive forms. “Went” and “finished” are conjugated forms of these verbs. It is the form that you can put “to” in front. 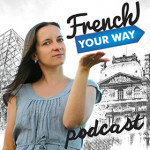 For tips on how to conjugate the most common French tenses easily, read here. Prepositions are common small words that are quite tricky because it is not easy to translate them from one language to another. They are often used to describe a direction or a location (to, in, next to, behind, on, etc), or in front of a time/date (in August, at 2pm, from today, until tomorrow, etc). Some common French prepositions : pour, de, à, avec, sur, sous, devant, à côté de, chez, sans, etc. Je voudrais un café sans sucre. J’apprends le français pour le plaisir. Ex : Je vais chez moi. Ex : J’apprends le français pour voyager et pour parler avec les natifs. Il continue à fumer mais il essaie de faire du sport. Ex1: Eva is hungry. Eva orders a pizza. → Eva is hungry. She orders a pizza. Ex2: We are going to the park. Meet us at the park ! → We are going to the park. Meet us there ! Ex3: Daniel loves gardening and playing golf. Rob doesn’t like gardening and playing golf. → Daniel loves gardening and playing golf. Rob doesn’t like that. Ex4: I saw a movie. I liked watching this movie. → I saw a movie. I liked watching it. In French, pronouns are placed in front of the verb they refer to. Ex1: J’aime les chats → Je les aime. Ex2 : J’aime regarder les étoiles → J’aime les regarder. “maison”: (=”house”) This noun is feminine in French. You can add one or several adjectives to describe the house in more details. Let’s say that you want to say that it is BLUE. The word/adjective for “blue” in French is “bleu” (for the masculine form) and “bleue” for the feminine (it’s very common to form the feminine version of a word by adding a final “_e”). To say “a blue house”, you need to “clip” a feminine singular article to the noun “maison”, and to also clip the feminine singular form of the adjective blue. It all needs to be consistent with the gender and number of the noun (“maison”). Don’t forget that you can download the PDF version of this article (with exercises and answers) below.